The NCAA recently announced that Lindenwood men's golfer Greg MacAulay was a recipient of a NCAA Postgraduate Scholarship. There are many reasons people like living in St. Charles. Residents and tourists alike are drawn to the cobblestone of Main Street for dining and shopping experiences unique to the area. While the city has a rich history of being the state’s first capital and launching point for Lewis and Clark’s westward expedition, it forges ahead with new multi-use developments like Streets of St. Charles and University Commons. Lindenwood University announced today that it has selected executive search firm Witt/Kieffer to lead the Presidential search for the University. The committee reviewed the credentials of several highly qualified recruiting organizations before selecting Witt/Kieffer. 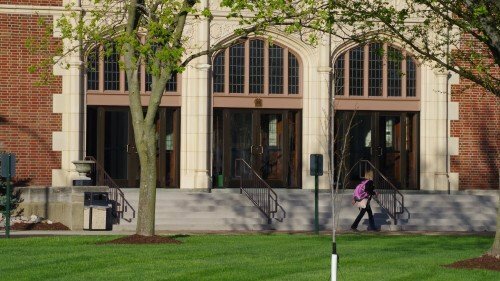 Veterans who enroll at Lindenwood University for 2015 will study at a “military friendly” school, an honor the university has earned for the sixth consecutive year, according to the latest list published this week in G.I. Jobs Magazine. Only 15 percent of colleges, universities, and trade schools nationwide receive it each year. Jessica Gatewood has been named director of corporate relations at Lindenwood University. Her duties include managing the strategy and growth of the institution’s corporate relations initiatives and fostering positive and synergistic working relationships with the regional business community. Thirteen high schools and 1,000 band members will converge on Lindenwood University Oct. 18 for the Greater St. Louis Marching Band Championships. This is the second year the event is being held at Harlen C. Hunter Stadium. Lindenwood University alumnus Daniel Bedell (’12) departed for Armenia Aug. 25 to begin training as a community economic development volunteer for the Peace Corps. 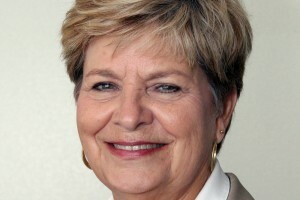 Bedell is from St. Peters, Mo., and received a bachelor’s degree in nonprofit administration. 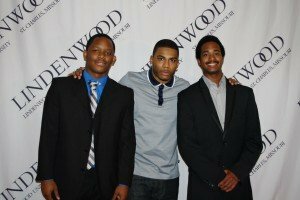 Grammy-award winning rapper and hip-hop artist Nelly came to the Lindenwood University campus Friday to assist in presenting two scholarships to St. Louis-area students. Lindenwood University has received approval from the Higher Learning Commission of the North Central Association to offer a Master of Science in Nursing program. The approval came in a letter to President James D. Evans on Monday, Aug. 18. Lindenwood University will host a weekend of activities for families of students on Thursday, Sept. 25, through Saturday, Sept. 27, including a nationally televised football game, movies, other sports, food, opportunities to attend classes, and numerous other activities.